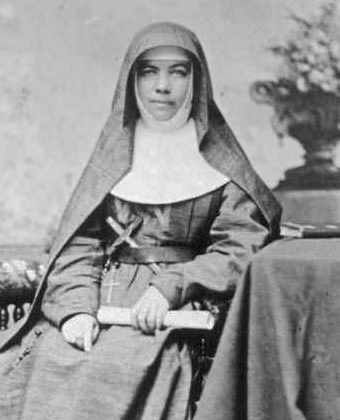 In two weeks’ time, the Catholic Church will celebrate the canonisation of six people, including Blessed Mary MacKillop. To mark the Canonisation of Blessed Mary MacKillop as Australia’s first saint, the Catholic Church throughout Australia will celebrate the Feast of Blessed Mary on the day of her canonisation, Sunday 17 October. Our Lady of Mount Carmel Parish will join parishes across the country in giving thanks to God for the gift of Mary MacKillop and the recognition of her sainthood. This is a significant occasion for our country and for the Church throughout the world. All Masses on Sunday 17 October (including the Vigil Mass on Saturday evening) will celebrate the feast of Blessed Mary MacKillop. Parishioners and visitors are invited to join us in a procession through the church and school grounds in honour of Blessed Mary, prior to the celebration of Mass. The procession will commence in the front driveway outside the Parish Centre. The principal Mass of the Feast will be celebrated in the church. We invite everyone to join us and celebrate this historic occasion.